Marijuana stock Sunniva has revealed plans to spin off its Canadian assets and seek a separate listing for them on the Nasdaq and Toronto stock exchanges. The spun-off Canadian assets would include Sunniva Medical, which is building a 740,000-square-foot greenhouse in British Columbia that will be able to produce 100,000 kilograms of cannabis flower. Sunniva already has a two-year contract to supply Canopy Growth (CGC) with 45% of the production from the forthcoming greenhouse. Meanwhile, the Sunniva parent company will retain the U.S. assets. Those include CP Logistics, which will operate a proposed 489,000-square-foot greenhouse in Cathedral City, Calif., that will produce up to 160,000 kilograms of marijuana annually. The facility is scheduled to be fully operational in the third quarter and will include an on-site dispensary with a distribution license. Sunniva CEO Anthony Holler claimed the current company is undervalued, and that the spinoff will unlock value for existing shareholders. “Creating a new Canadian company with our Canadian assets and listing them on the TSX and NASDAQ would be expected to bring added visibility and additional analyst coverage to our story and has the potential to attract institutional investors that are currently unable to purchase stock on the CSE or purchase companies holding US assets,” Holler said in a press release Wednesday. Among marijuana stocks, Canopy Growth, whose Canadian ticker is WEED, fell 0.1% on the stock market today. 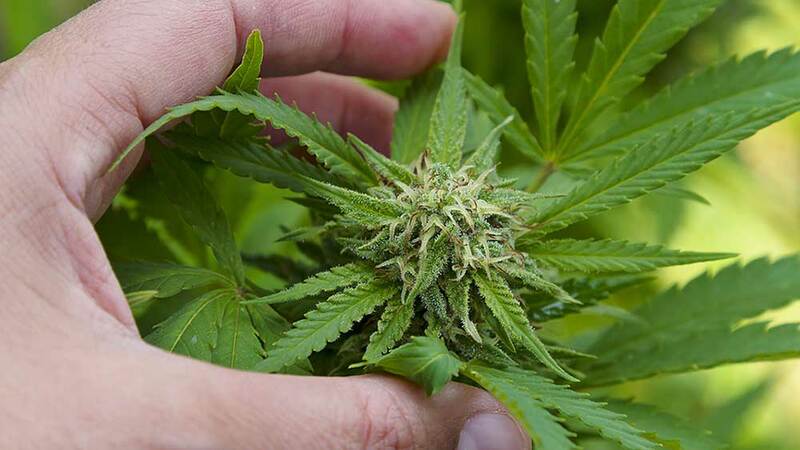 Cronos Group (CRON) rose 1.15%, while cannabis-focused exchange-traded fund ETFMG Alternative Harvest (MJ) retreated 0.5%, and AdvisorShares Vice ETF (ACT), which also has exposure to cannabis, dipped 0.1%. Sunniva will continue to trade on the Canadian Securities Exchange under the ticker SNN. But the proposed spinoff faces a number of hurdles. It requires both Sunniva shareholder approval and Canadian Securities Exchange approval. In addition it will have to fulfill the listing requirements of the Toronto and Nasdaq exchanges. Current shareholders will receive a proportionate number of shares in both companies. If Sunniva pulls off the spinoff, it would position itself to capture more U.S. growth. The American business will focus on full vertical integration in California and other states, and seek potential mergers and acquisitions or partnerships. It will also seek to expand it licensed retail business and the near term launch of Sunniva-branded products. “We believe having unencumbered US assets is very important and frees up the company to aggressively pursue an M&A strategy within the largest cannabis market in the world (California),” Beacon Securities managing director Doug Cooper said in a research note. He estimated Sunniva has an enterprise value of around $220 million, but that does not reflect the true value either the U.S. or Canadian assets. Canada’s cannabis industry has been rushing to consolidate amid recreational legalization this year. On Wednesday, it emerged leading marijuana stock Canopy Growth had managed to smoke out the competition as it sealed a $205 million deal to acquire rival Hiku Brands. And the world’s top marijuana grower Aurora Cannabis agreed to gobble up Anandia Laboratories for around $88 million in an all-stock transaction last month. Aurora Cannabis has been a big mover in the country’s fledgling marijuana industry. So far it has announced 14 other acquisitions in the past two years. In May, it agreed to acquire rival marijuana producer MedReleaf in an all-stock deal worth $2.5 billion. This was the biggest cannabis deal yet and positioned Aurora as the world’s biggest pot producer.